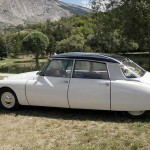 We specialize in wedding car rentals providing unique and stylish vintage and classic cars. Antiques. In perfect mint condition. 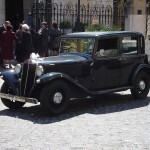 Available in Rome Italy to help you find the right wedding transport for your special day. All contained in one website. 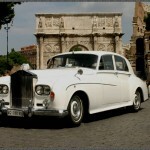 New modern cars available for your weddings in Rome. Available to make your special event a remarkable one. In a luxurious way. Italian style cars like Maserati and Ferrari as well as other Made in Italy brands. Full maintenance in and out of the car. Making the old look like the brand new. 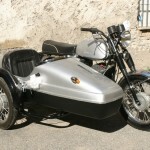 With a stylish vintage look to remember the times that once were with an antique transportation. 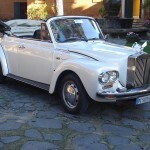 The passion in hand caring for these wonderful classic and vintage cars is finally available to make your wedding day or your trip around Rome unforgettable and a truly unique experience. 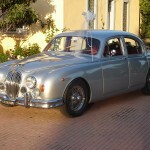 All our cars are provided with a chauffeur driver for your special wedding or event in Rome. A local driver expert in driving that specific car. Available to take you to your wedding in Rome. To your photography session and to your final destination. All our cars are fully licensed and are to take you within the city center through the limited traffic areas. Take the most scenic route and less trafficked road. 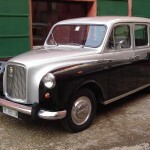 For maximum comfort some of our Vintage cars have air conditioning available. Don’t hesitate to ask for any additional service you may need. We can provide the bride’s bouquet and flowers. A prosecco wine bottle waiting for you in the car. Even professional wedding photography services or engagement photo sessions. 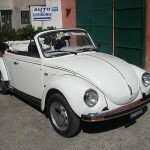 Cabriolet version to take you to your wedding with fun! Prices are intended for transfers within the city of Rome delineated by the GRA ring road Grande Raccordo Anulare. Or go with our more modern cars like the Mercedes E series. Anyway you choose your entrance will be one of a kind. 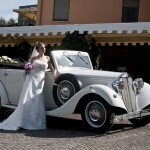 As well as your wedding photography immortalized in a beautiful car in the city of Rome. Are the cars available in different colors? Can we drive the cars ourselves? 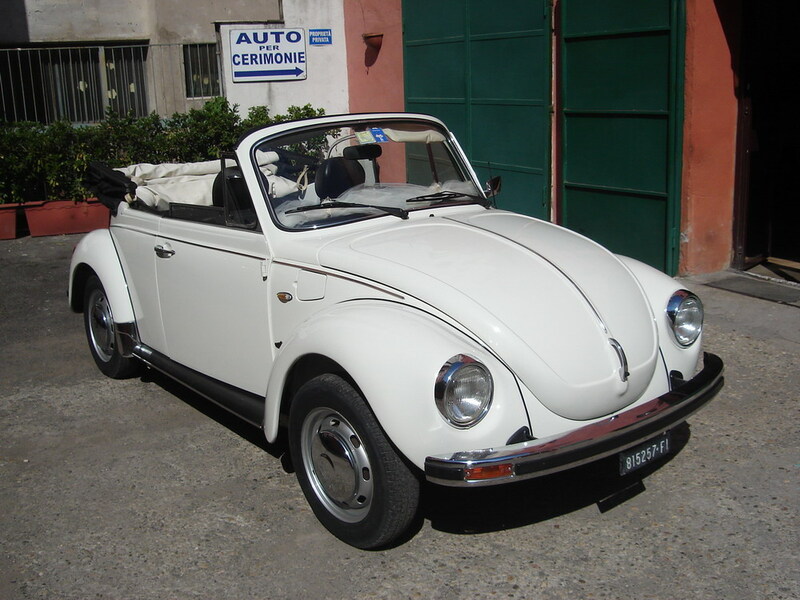 Can we use the car to drive anywhere we want in the Rome city area? For the vintage wedding cars the driver’s level of English is basic. He will be able to convey simple information such as directions and addresses and maintain a basic level of conversation. For the more modern cars the drivers normally speak fluent English. 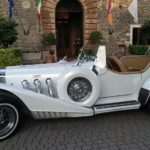 Are the cars available in other cities or parts of Italy? Can we use the car for a photo session?